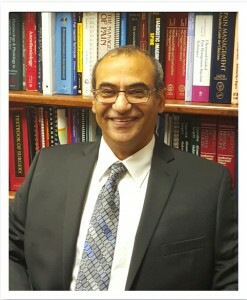 Dr. Mohamed Elansary has been in practice for more than 15 years, providing thousands of patients the highest level of pain management services. His passion and dedication to excellent patient care is second to none. He completed his residency and pain management fellowship training in one of the most prestigious institutions in the nation. Residency training in Anesthesiology at University of Illinois at Chicago. Fellowship trained in pain medicine at Emory University in Atlanta, Georgia. Board certified in Anesthesiology by the American Board of Anesthesiology. Board Certified in the subspecialty of Pain medicine by the American Board of Anesthesiology. Fellow of Interventional Pain Practice (FIPP) by the World Institute of Pain. Diplomat in Pain Management by the American Academy of Pain Management. MD Medical Degree from Ain Shams University, Cairo, Egypt. Utilize the latest and most innovative interventional pain management techniques to provide an individualized patient care in a friendly atmosphere. Interventional pain management is a subspecialty of Pain Medicine that utilizes minimally invasive procedures in diagnosing and treating the underlying cause of some painful conditions. Its goal is to lessen or eliminate the pain by treating its cause. Most interventional pain management procedures are non surgical. They are frequently done utilizing needles. We often use X-ray imaging or ultrasonound guidance for accuracy and safety. Local anesthesia is used to numb skin needle insertion sites. This makes these procedures almost painless and more tolerable. We provide PO and Sometimes intravenous sedation to apprehensive patients. All procedures are done as outpatients. You usually stay 30 minutes or less after the procedure. We understand that finding the actual underlying cause of your pain is the most essential part in developing a successful pain treatment plan. At the Guardian Pain Institute We pay close attention to your detailed medical history, physical examination, and Laboratory and imaging studies. This helps us reach a precise diagnosis and eradicate the source of your pain. Some painful conditions, frequently associated with severe pain, may not have significant findings in clinical examination or in laboratory tests. Also, Imaging studies as x-rays, CT scans or MRI may even be negative. We understand that this can create a diagnosis and treatment dilemma to non-pain management providers. Patients may feel frustration. Sometimes patients may even question their mental integrity. If you have pain as above, Please, DO NOT GET FRUSTRATED, YOU DEFINITELY HAVE PAIN and we will work with you to find out where your pain is coming from. We sometimes use diagnostic Interventional procedures to find out the source of pain or determine the major cause of pain if more than one possibility exist. These injections are expected to relieve the pain for few hours only. Some diagnostic injections may provide a long lasting pain relieving effect. (diagnostic and possibly therapeutic). Patients sometimes get preoccupied by the “GOOD or BAD” results they hear from a friend, a neighbor or a family member that had similar injection or similar diagnosis. This is like comparing “apples and oranges”. Every patient has a “Unique mix of clinical conditions “that is causing their pain. Medication management or utilization of opioids in chronic pain management is not integrated into the scope of my practice. I only utilize interventional pain management techniques in the armamentarium of my pain treatment techniques. I definitely understand that not all painful conditions can be successfully treated by interventional procedures and that there is a definite role of opioids in selected painful conditions, but I elected to devote my practice to what I excel at which is treating only the painful conditions that benefit from interventional techniques. Radicular pain from nerve root irritation. Post-Laminectomy (Failed back) pain Syndrome. Degenerative Disc Disease (Discogenic pain). Vertebral Fractures from osteoporosis or tumors. Complex regional pain syndromes (CRPS). Pain associated with surgical incisions. Persistent hip pain after total hipreplacement. Chest wall and abdominal wall pain. Facet joint injections and medical branch blocks (Cervical-Thoracic-Lumbar). Facet Joint Radiofrequency Denervation / Ablasion (Cervical-Thoracic-Lumbar). Spinal cord stimulation (SCS) trials and permanent implantation. Peripheral Nerve and Field Stimulation. Diagnostic Discography: to diagnose discogenic back pain. TAP (Transversus Abdominus Plane) Block. Carpal tunnel (median nerve) block.